Thank you to everyone who braved the weather to join us at this year’s Watch City Steampunk Festival! Despite the downpour, we had a good turnout. For the past three years our children's activities have been coordinated by the amazing Sarah Gardner! She's responsible for all those tentacle fights, chess pieces, and bubble blowers we've had available for the little ones. Sarah is now stepping down from her role, and we wanted to say a hearty THANK YOU for all your hard work from all of us! We will endeavor to carry on your legacy of creativity and joy for the children of Watch City in the years to come. If you are in the area and are interested in becoming part of the planning committee for the 2019 Watch City Festival, please email info@watchcityfestival.com and introduce yourself! What About Next Year's Festival? We will come back in 2019! We are planning for Saturday, May 11th, 2019, which is once again the Saturday of Mother’s Day weekend. Let’s just assume that the weather will be tornadoes and floods and plan accordingly. The event will go on rain or shine. As for the theme of the event, well, you'd better take a look at this challenge that was just issued by the Charles River Mad Scientists' League! Performer and vendor applications will become available in late 2018. In cooperation with the “Summer of Steam” Facebook group, Watch City will be taking over the new Game Underground store in Waltham for an afternoon of board gaming. Join us on Sunday July 15th from noon to 6pm at Game Underground, 349 Moody Street in Waltham. Parking in municipal lots is free on Sundays! Costumes are optional. Snacks will be provided; for something more substantial we invite you to explore the many restaurants on Moody Street. Learn more about the location at https://www.game-underground.com/. Did you know that there is far more space in the building that houses the Charles River Museum of Industry and Innovation than is open to the public, and that this area is now referred to as “The Wayback”? “I told you the rubber duck machine wasn't ready, but noooooo, we just HAD to go to beta." Spring is coming, and we’ve got just a few weeks until Festival Day, Saturday, May 12th, 2018! The organizational committee is not panicking in any way whatsoever! The Circus is Coming to Town! 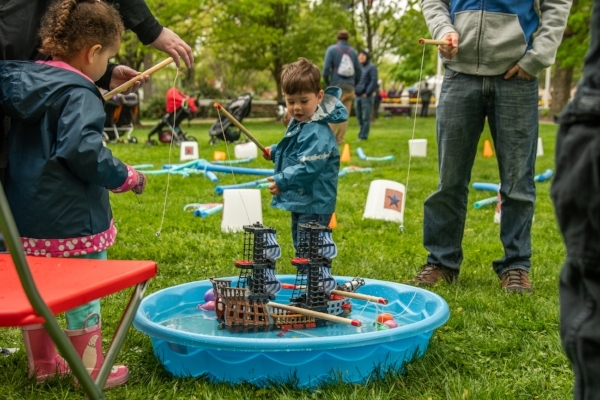 Citizens of Watch City, Robot Fans and Kraken Enthusiasts, Mad Scientists and Tea Duelers, Inventors and Crafters of all ages, get ready for the greatest show in Waltham as the Circus Comes to Town! SEE! Acrobats, Jugglers, Dancers, and Musicians entertaining you throughout the day! BEHOLD! Watch the aerialists spin in mid-air! 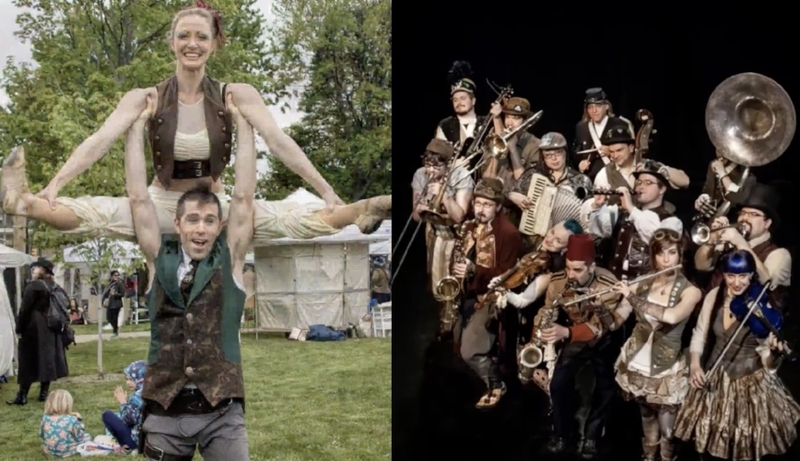 The Boston Circus Guild is a collaborative-based membership organization of over fifty musicians, artists, circus performers, dancers, and event producers from the New England area. With a mission to create career opportunities for artists and inspire, educate, and entertain audiences, BCG produces its own theatrical circus productions, and provides entertainment for private events. You can find out more about BCG at bostoncircusguild.com. From 10 AM to 5PM we will have three open air stages filled with awesome acts, the common will feature wandering minstrels and tasty treats to tempt the most jaded of palates. Just be sure to be at the Gazebo at 4PM for the big finale! Do you need hotel space for Watch City Steampunk Festival weekend? We have made arrangements with the Holiday Inn Express at 385 Winter Street in Waltham for a special rate. If you do not want to book online, please contact the reservations office at (877) 213-6796 to make a reservation. You must state the name of our group, 2018 Watch City Steampunk Festival, to receive the discounted rate. If you require any special room accommodations, you must state that at the time of making the reservation. If you would like to reserve dates that are not included in the group block, or you have any questions about making a reservation, please contact Mike Whiteman at (781) 419-0985. Please note that the hotel is not adjacent to the Festival area. 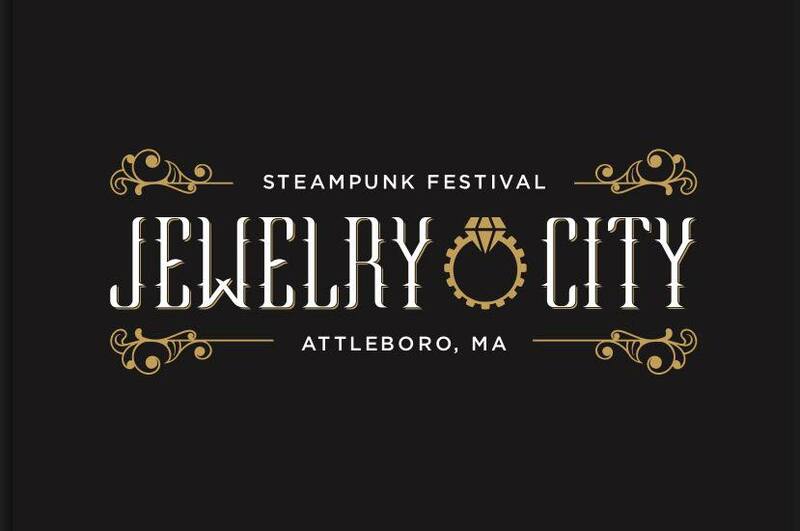 Interested in helping out at the Watch City Steampunk Festival? There are many areas where need talented and enthusiastic people to help make our festival happen! Please check out the opportunities listed listed here and let us know if you're interested in giving us a much welcome hand! 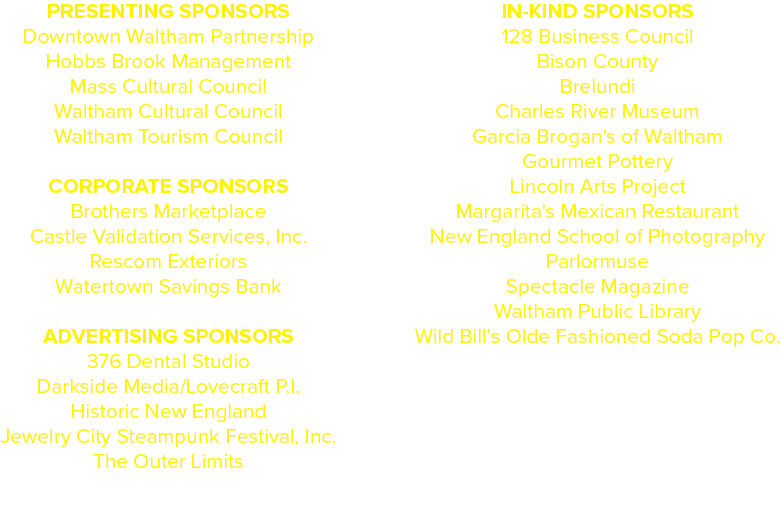 By sponsoring the Festival and/or purchasing an ad in our program booklet, you’ll be supporting and associating your brand with the Watch City Steampunk Festival, helping to raise the profile of and bring additional tourism to Waltham, and helping us to give back to the community that helps us to host this event each year. Your support will be recognized in many ways, not only leading up to and at our event, but in some cases, throughout the following year. Go here to sponsor or advertise. Cabinet of Curiosities: A collection of objects representing relics and souvenirs of events, persons of note, and natural (and unnatural) history. The following item has recently been entered into Watch City’s own Cabinet of Curiosities collection: The World’s Tiniest Cabinet of Curiosities. This collection consists of tiny samples of what surely must be wondrous things. Sadly, the list of instructions that documented what each item is has been lost! So we turn to you and ask for your help! What do you see in each bottle? What story would you tell about it? From now until Festival day, you’ll be able to see our “Cabinet of Curiosities” in the display case at the Waltham Public Library. Look for it on the ground floor outside of the Children’s room. HAPPY NEW YEAR to all citizens of Watch City! This newsletter will be published irregularly to keep you up to date on important news about next year’s event. Mark your calendars for Saturday, May 12th, 2018! for the 2018 Festival Close Soon! Applications to be a vendor or performer at the 2018 Festival are due by the end of January! To find the forms, visit our website and click on “Participate”. For more information you can email vendors@watchcityfestival.com or performers@watchcityfestival.com with questions. The Watch City Steampunk Festival had a table at both the Jewelry City Steampunk Festival in Attleboro, MA, and also the Dickens Holiday Festival at the Charles River Museum of Industry and Innovation in Waltham! Being the exclusive coffee vendor at the Dickens Holiday Festival was certainly an advantage. We’ve made enough sales to pay for an entertainer… or several, if they work for cheap. 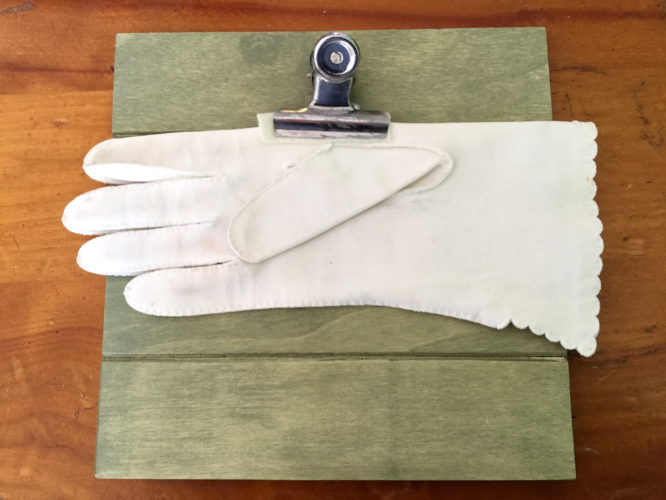 The following item has recently been entered into Watch City’s own Cabinet of Curiosities collection: a single lady’s glove, of uncertain origin. Rumors abound that it was found in a newly-opened tomb in the Egyptian city of Memphis; that it was discovered behind the bar of a speakeasy in Memphis, Tennessee; or that it fell out of the Charles River Mad Scientists’ League space-time portal and directly into the lost-and-found box at a previous Watch City Steampunk Festival. The debate among scientists and historians continues. Welcome everyone! We hope you all enjoyed the 2017 Watch City Steampunk Festival. This newsletter will be published irregularly to keep you up to date on important news about next year’s event. Mark your calendars for Saturday, May 12th, 2018! Applications to be a vendor or performer at the 2018 Festival will open on November 1st! Watch our website and social media accounts for more information. All applications will be due by the end of January. For more information you can email vendors@watchcityfestival.com or performers@watchcityfestival.com with questions. 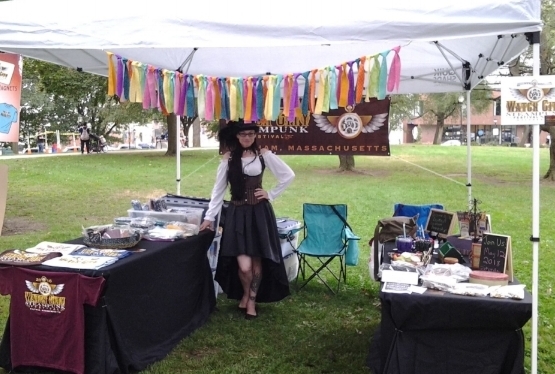 The Watch City Steampunk Festival had a promotional table at two local events in Waltham, Riverfest and Waltham Day. We had a lot of people stop in to say hello and tell us how much they enjoy the Festival. We’ve also made some sales of t-shirts and other swag, all of which goes to our budget and helps keep the Festival free of charge. We also visited Boston Comic Con! Several steampunk groups shared a booth and participated in convention programming: The Watch City Steampunk Festival, The Jewelry City Steampunk Festival, The Gate City Steampunk Festival, Splendid Teapot Racing Massachusetts, Gartisan Works, The Red Fork Empire, and The Citizens of Antiford. We are very pleased to see the local groups coming together! Boston ComicCon 2017, along with fellow members of "Steampunks of New England"
The following item has recently been entered into Watch City’s own Cabinet of Curiosities collection: a piece of tentacle from the dreaded kraken Leviatha, whose attacks on Watch City a year and a half ago were devastating to the populace. Welcome everyone! We hope you all enjoyed the 2017 Watch City Steampunk Festival. This newsletter will be published irregularly to keep you up to date on important news about next year’s event. Our date for next year’s event has been announced! Mark your calendars for Saturday, May 12th, 2018. If you are a vendor or performer interested in the 2018 event, we have not yet opened up the application process, but you can email vendors@watchcityfestival.com or performers@watchcityfestival.com with questions or to be notified when more information is available. The following item has recently been entered into Watch City’s own Cabinet of Curiosities Collection: a fragment of the wrappings from the (simulated) mummy Nanefer-ka-ptah of the 19th dynasty, unwrapped at the 2017 festival courtesy of the Boston University Cabinet of Ancient Wonders. "Bunked. Sheveled. Couth. These things have no meaning unless they are not what they are. Food for thought!"